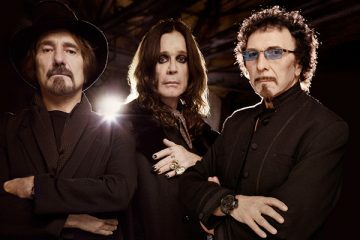 The Dangerous Minds web site has pointed out “remarkable” similarities between the signature riff in BLACK SABBATH‘s classic song “Paranoid”, the title track of its 1970 album, and the opening to “Get Down” a song recorded by the four-piece Michigan garage-rock combo HALF LIFE in 1969. “Paranoid” was recorded in June 1970 at Regent Sound Studios and Island Studios in London, England and the album’s title track was written as an afterthought. 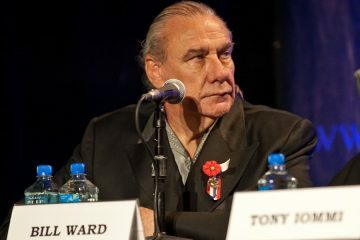 Drummer Bill Ward explained: “We didn’t have enough songs for the album, and Tony [Iommi, guitar] just played the guitar lick and that was it. 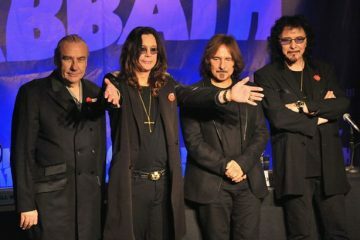 It took twenty, twenty-five minutes from top to bottom.” In the liner notes to SABBATH‘s 1998 live album “Reunion”, bassist Geezer Butler recounted that they wrote the song “in five minutes, then I sat down and wrote the lyrics as quickly as I could. 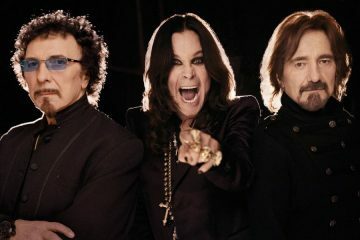 It was all done in about two hours.” The single was released in September 1970 and reached number four on the U.K. charts, remaining BLACK SABBATH‘s only Top Ten hit. HALF LIFE recorded “Get Down” in a single take on June 27, 1969 at GM Studios in East Detroit, but the song failed to gain any traction on Detroit radio. The track is now available as part of the compilation “A-Square (Of Course): The Story Of Michigan’s Legendary A-Square Records”, which also features other rare recordings from the Ann Arbor-based label from bands like the legendary MC5 and THE SRC (THE SCOT RICHARD CASE). 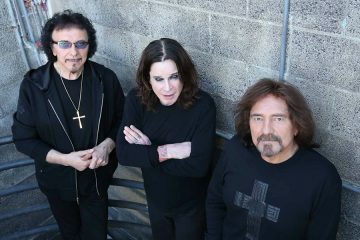 As Dangerous Minds points out, it is highly unlikely that Tony Iommi, one of the most influential guitarists of all time, lifted the epic riff for “Paranoid” from a little known garage-band from Saginaw, but the similarities are still uncanny.